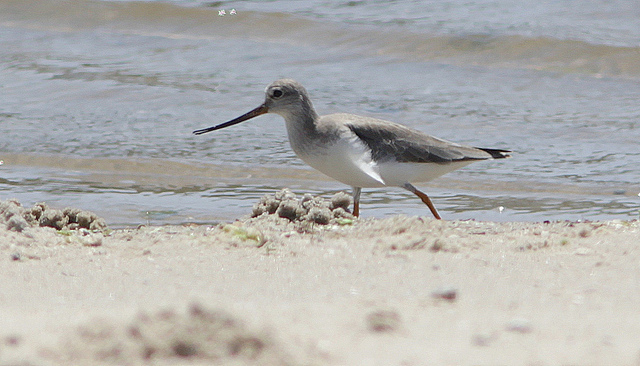 The Terek Sandpiper breeds in Eastern Europe. In Western Europe it is seen only rarely. 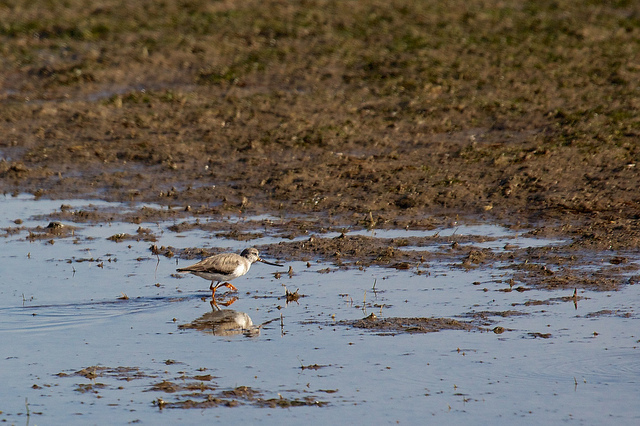 It is a small wading bird with beautiful orange-yellow legs. It has a remarkably long beak, curved slightly upwards.